The leadership team for Amazon’s newly revealed broadband satellite constellation, code-named Project Kuiper, includes engineers who left SpaceX’s Starlink constellation program last year as part of a reorganization, industry sources say. The personnel shift, first reported today by CNBC, illustrates how interconnected and competitive the satellite mega-constellation business is turning out to be. 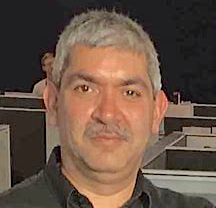 Speaking on condition of anonymity, the sources said the engineers include Rajeev Badyal, who was the SpaceX vice president in charge of the Starlink program before the reorganization; and Mark Krebs, a veteran of Google’s aerospace efforts who played a key role in developing the first two prototype Starlink satellites for SpaceX. Both of those engineers were identified as casualties of last year’s Starlink reorganization, which was said to involve a trip by SpaceX CEO Elon Musk to the company’s satellite development facility in Redmond, Wash., to fire at least seven senior managers. GeekWire’s efforts to obtain comment from Badyal and Krebs were unsuccessful, and their LinkedIn profiles don’t yet reflect new positions. Amazon declined to discuss their status. Bringing on a team with Starlink experience could help Amazon make rapid headway in its drive to put 3,236 satellites in low Earth orbit to beam space-based broadband data services to billions of people who are currently underserved. The company lists more than 70 Project Kuiper jobs on its website, with virtually all of them offered in Bellevue, Washington — not far from SpaceX’s digs in Redmond. Amazon will face a steep challenge when it comes to catching up with SpaceX, which is pursuing the same goal of affordable, fast-response global connectivity. 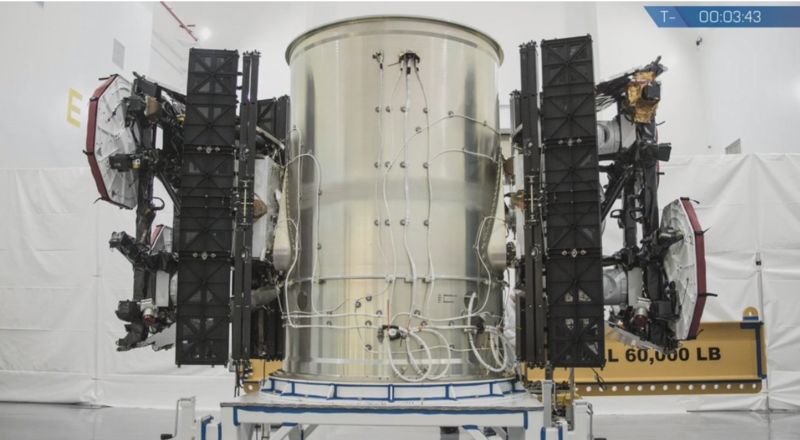 The aim of SpaceX’s management overhaul was to accelerate the design and testing of next-generation Starlink satellites. The first prototypes, nicknamed Tintin A and B, were launched in February 2018. Last May, Musk wrote in a tweet that the broadband connection provided by the prototypes was “good enough to play fast-response video games.” But since then, the satellites’ design and planned configuration have gone through significant changes. In filings with the Federal Communications Commission, SpaceX said it was reworking the orbital arrangement of the satellites, and redesigning them for safe disposal at the end of their operating life. SpaceX has given notice that it aims to start launching next-generation satellites for the Starlink constellation next month. Late last month, SpaceX filed another series of applications to operate six satellite gateways, plus a telemetry, tracking and command station in Brewster, Wash. The six gateways would be in Redmond and North Bend, Wash.; Hawthorne, Calif.; Conrad, Mont. ; Merrillan, Wis.; and Greenville, Pa. Amazon could conceivably counter with its own AWS Ground Station network, planned as a partnership with Lockheed Martin. Amazon hasn’t yet filed applications for the satellites with the FCC. However, it has been in talks with the agency, which passed along information about Project Kuiper to the International Telecommunication Union last month. SpaceX is by no means Amazon’s only rival in the mega-constellation market: The international OneWeb consortium and Telesat, Canada’s biggest satellite operator, have also made significant headway in campaigns to put hundreds of broadband data satellites in low Earth orbit, or LEO. OneWeb had its first six broadband satellites launched from French Guiana in February, and the company says it’s on track to have scores of spacecraft in orbit within a year. Telesat launched its first satellite for a LEO constellation last year, and plans to put hundreds more in space by the mid-2020s. LeoSat Enterprises has plans for a LEO broadband satellite constellation that makes use of laser communications, and a Facebook subsidiary called PointView Tech is said to be working on a similar laser-based project. Even Boeing has a mega-constellation plan on the books. The SpaceX-to-Amazon switchover illustrates how the satellite broadband rush sometimes makes for strange bedfellows: Way back in 2014, a former Google executive named Greg Wyler reportedly discussed the idea of a LEO internet constellation with Musk. SpaceX ended up going forward with Starlink on its own, fueled in part by a $1 billion investment from Google and Fidelity. Wyler, meanwhile, pursued the idea separately as OneWeb’s founder and executive chairman, with total investment now at $3.4 billion. In 2017, OneWeb struck a launch deal with Blue Origin — which was founded and continues to be financed by Amazon CEO Jeff Bezos. Blue Origin also has a deal to launch satellites for Telesat. Telesat, in turn, has forged a separate partnership with Alphabet’s Loon, a corporate cousin of SpaceX backer Google.